In this week’s History of Magic, we feature Chung Ling Soo. 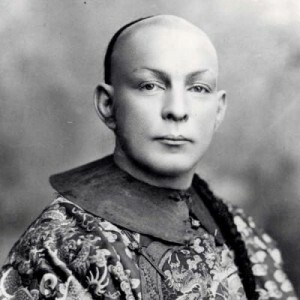 Perhaps one of his best illusions was although he was an American named William Robinson, throughout his life he disguised himself and performed as a Chinese magician. In full Chinese costume, everyone thought he really was Chinese. He fooled his audiences all his life, so I guess you could call that a really good magic trick. 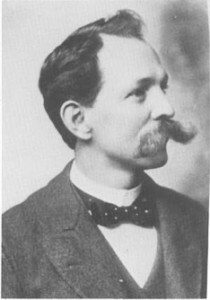 Robinson was born in Wechester County New York in 1861. His father was also a stage magician and from an early age, Robinson wanted to follow in his father’s footsteps. He died when he was fatally shot while performing the notorious Bullet Catching trick in 1918. However his fascinating life and exploits have been recorded in the history books of magic. He was a silent performer, never speaking on stage and based his stage act on a real Chinese magician called Ching Ling Foo but they were bitter rivals. There is a special section about Chung Ling Soo’s career recorded in the London Magic Circle Archives. Robinson gave his first magic show at age 14 and it was not long before he was noticed by the famous magicians Harry Kellar and Alexander Herrman and performed his act with their big shows. With this experience, he then branched out on his own as a vaudeville performer, adding illusions to his magic tricks. He became quite successful when hearing that a French theatrical agent was looking for a Chines act for the famous Folies Bergere in Paris. He then dressed as a Chinese magician and his audition was successful. So at that stage he shaved off his large moustache and his hair but kept a long pony tail and used grease paint make-up to darken his appearance. His stage assistant was named Suee Seen, also an American who also dressed in full Chinese costume on stage to compliment the Chinese character they created. Chung Ling Soo introduced an offer of $1000 to anyone who could duplicate any of his stage illusions but no one ever made a claim, even though it was a lot of money in those days. 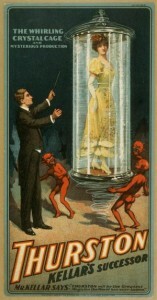 This was also an era where magicians often stole other magician’s material and illusions. This often led to law suits between performers. Soo although secretly married to another woman, always referred to his assistant Suee Seen as his wife. He was involved in a love triangle. Chung Ling Soo used to secretly watch Harry Kellar’s shows from the back of the hall and was able to copy then duplicate and perform Kellar’s illusions for his own shows. Chung Ling Soo travelled throughout America, England and Australia and was then earning about $5000 a week. He became well known for a very dangerous magic trick called the Bullet Catching Trick that has taken the lives of at least 12 other magicians. This magic trick dates back to the 1600’s and only brave magicians ever attempted this effect because of the dangers. Chung Ling Soo was performing this at the famous Wood Green Theatre in London when he was accidently shot and killed on March 23rd 1918. The effect involves having an audience member select a bulet, marks it and then has it loaded into the rifle. The rifle is aimed at the performer and fired with the magician catching the bullet between his teeth. When the bullet and casing are examined it has the same marks that the spectator put on. This is a really spectacular magic trick but the lesson we learn is that is should never be performed by magicians these days unless they are highly experienced performers. One of Chung Ling Soo’s most extraordinary illusions has almost been lost in the mists of time. It was called the ‘Lantern Illusion’ or ‘Whirling Crystal Cage’ that was known to have been performed by Harry Kellar who may have stolen the idea from Soo. This illusion consisted of a huge crystal or glass cylinder, large enough for someone to appear inside at the right moment. The big Lantern Glass was displayed empty on stage then hosted up with a cable where it began to spin around and around. A spot light was shone onto the cylinder and a beautiful lady suddenly appeared inside the spinning lantern tube. She remained perfectly still while the lantern glass continued to revolve around her. It is doubtful whether there are any magicians living to day who know whether the illusion still exists or anyone knows how it works. No performer has ever tried to recreate this incredible illusion, which was far more than just a simple magic trick. Chung Ling Soo like most famous magicians had two clever mechanics on his show who were said to have designed and built the original illusion that would indeed bring surprised gasps from audiences seeing it performed today. There are some sound lessons to be learnt from the bygone era of these early illusionists who often stole others’ material. Fortunately today magicians around the world share a strong code of ethics and there is much more respect for magical creations and inventions. Another lesson is that magicians have established strong bonds of fellowship, with the advent of magic clubs and magical societies. Nevertheless despite not really knowing how they worked or were accomplished, the magic and illusions of Chung Ling Soo, including the Whirling Crystal Cage, are faithfully recorded in the history of magic.